We are proud to present our speakers for our second annual conference on student-centered education, Inspire 2014: Engaging Today’s Students. 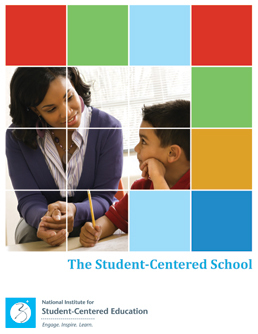 Conference speakers include authors, teachers, psychologists, specialists and professionals in the education field who are committed to student-centered education best-practices. Mark Dix joined Dearborn Academy High School as Education Coordinator in 1988 and became director of the high school in September of 1998. He has a BA (1971) and a MAT (1973) from Cornell University, and a MEd from the University of Massachusetts (1979). In addition to his work with Dearborn, Mark is co-author of Discovering AutoCAD, a college textbook in continuous publication since 1988. 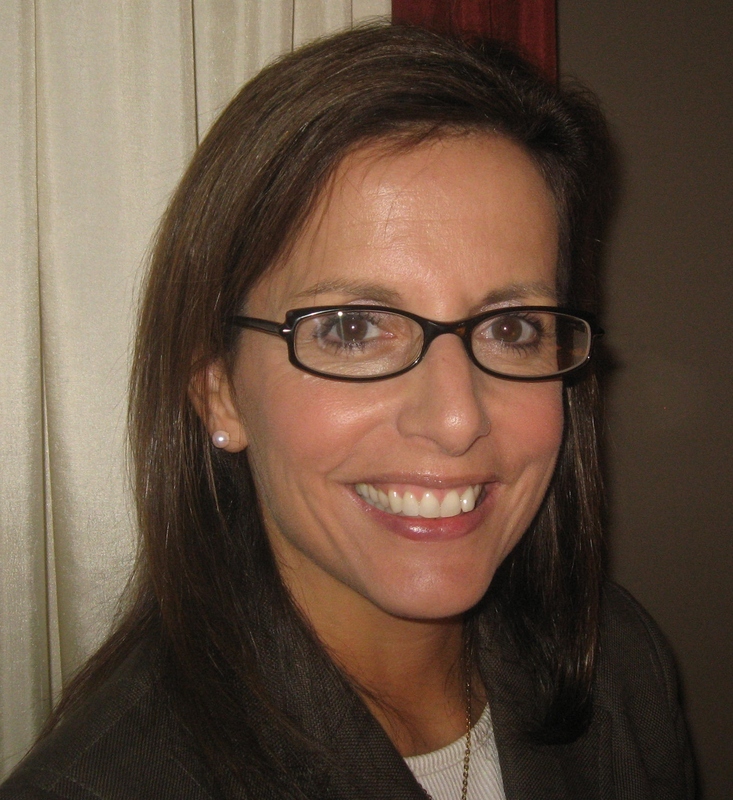 Beth Holland combines over 15 years of education experience with expertise in mobile learning, K-8 education, and differentiated instruction, to help teachers create innovative learning environments. She blogs regularly for Edutopia and Edudemic, presents at regional and national conferences, and holds a Master’s degree from Harvard as well as a Bachelor’s from Northwestern University. In 2013, she was named as one of eSchoolNews top 5 Ed-Tech Twitter accounts to follow. Karla Anderson has been teaching at the Kennedy-Longfellow School for 16 years. She teaches Science and Math curriculum in the newly departmentalized 4th Grade, while still teaching writing and social-emotional learning for her homeroom students. Karla was also accepted to the National Teacher Leadership Initiative over the summer. Dr. Katerine Bielaczyc is the Director of the Hiatt Center for Urban Education at Clark University, and an Associate Professor of Education. Kate’s research involves collaborating with students, teachers, and school communities to investigate new approaches to teaching and learning. Her work focuses on developing both technological and social infrastructures to support participants in working together as a knowledge building community to create knowledge regarding personal, pedagogical, and systemic transformation. 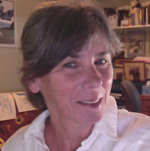 Before joining Clark, Kate was Deputy Head of the Learning Sciences Lab at the National Institute of Education in Singapore, Assistant Professor at Harvard University jointly in Teacher Education and Technology in Education, a Senior Scientist at Bolt, Beranek, and Newman, and Director of the Learning Communities Research Group at Boston College. Dr. Bielaczyc has also collaborated on educational projects in Europe and South America. 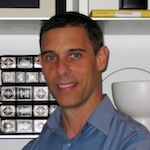 Michael Brownstein has worked as a teacher, administrator, and leadership and development coach. 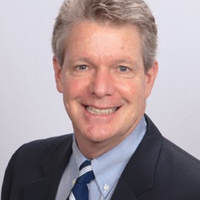 He has more than 20 years of experience working collaboratively with diverse education stakeholders in identifying, creating, implementing, and holding accountability for innovations introduced in schools, nonprofit organizations, and workforce development programs. Dr. Bill Bryan has a B.A. from Dartmouth College and a Ph.D. in clinical psychology from The George Washington University. He is the lead author of Breaking Ranks: A Field Guide for Leading Change, and soon-to-be-released The Leader Chessboard: Practical Strategies for School Transformation. He has served as an Army officer, practiced and taught clinical psychology, and partnered with The Center for Secondary School Redesign. 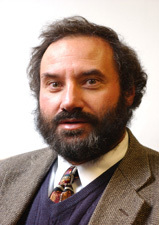 Gary Chapin is a Senior Associate for Quality Performance Assessment at the Center for Collaborative Education. Before, he was the founding researcher and developer of the Maine DOE Center for Best Practice, where he conducted case studies of five school districts and worked in proficiency-based, learner-centered practices. Gary has also worked as the Curriculum Coordinator for Regional School Unit 16 and taught social studies at Hall-Dale High School in Maine. With over 25 years of experience as an educator, Kate Thayer Clark is currently the principal of Ivan G. Smith Elementary School. She is now concentrating on the dissertation portion of her EDD on efficacious school cultures at Northeastern University. Kate graduated from Boston College with a Masters in Elementary Education. Over the years, she has used mindfulness meditation and guided visualization to help students succeed and manage performance anxiety. Kevin Creeden has over 30 years of clinical experience, his primary focus being trauma and attachment difficulties. 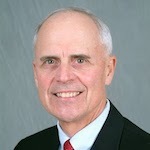 Kevin has served as the president of the Massachusetts chapter of the American Professional Society on the Abuse of Children (APSAC), a teaching fellow at Boston College, an instructor in Psychology at Harvard Medical School, and a guest faculty member at the Boston University School of Social Work. Presently, he is a guest faculty at the Simmons School of Social Work’s advanced training program in trauma-focused treatment. 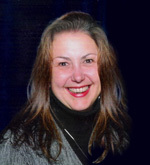 Penny Cuninggim, EdD, MSW, MAT, trains, consults, and serves as Associate Director of NEARI in Holyoke, MA. She has worked with struggling students for over 30 years in special and regular educational settings. She has led three school programs and developed (with her colleagues) the NEARI models of staff-centered leadership, behavior management, and brain-compatible assessment and classroom practices. Sue Cusack, Assistant Professor and Co-Project Leader of the Kennedy-Longfellow/Lesley University Partnership, specializes in the inclusive use of instructional and assistive technologies in support of student-centered and culturally responsive teaching and learning. Tom Driscoll is a high school social studies teacher and technology coach at Putnam High School in Putnam, CT. He is passionate about improving educational experiences, particularly through innovative use of instructional technology. Tom has been implementing flipped learning techniques in his classes for the past three years and has conducted several conference presentations and workshops on this topic. Tom has also authored contributing chapters for three books on instructional technology. Jacy Edelman is the Project Coordinator for the Kennedy-Longfellow/Lesley University Partnership, where she supports the innovative use of technology in junior kindergarten through the 5th grade, as well as co-facilitates the school’s Scratch Programming & Robotics Club. 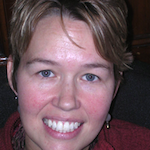 Jacy has also taught Interactive New Media at Lesley University for the past 7 years. Roberto Gonzalez is the founder of STEAM box, a portable installation where youth can collaborate with their communities to conduct self-driven science projects. He graduated from Emerson College before returning to public education as an advisor with the RI College Crusade. Roberto has written and facilitated adventure education programs, worked as a teaching consultant, and designed nonprofit Inspiring Minds’ technology center. He continues to work actively as a facilitator for STEAM box. Rose Mary Grant currently serves as the Head of School at Highland School in Rhode Island and as an adjunct faculty member at Rhode Island College, where she teaches in the special education department. Though she was originally trained as a special education teacher, over the last 30 years she has worked in many different capacities for public, independent, and charter schools, where she has always maintained a philosophy of personalized learning. 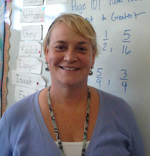 Michele Gross currently serves as the School Social Worker at Ivan G. Smith School in Danvers, MA. Michele holds a Master’s in Social Work from Tulane University and a Bachelor’s degree in Psychology from the University of New Hampshire. In addition to her work as a school social worker, Michele spent seven years working with the Massachusetts Department of Children and Families. Michele regularly uses mindfulness techniques with students to help them decrease anxiety and increase focus and attention. Kreg Hanning is the Technology Specialist for the Kennedy-Longfellow/Lesley University Partnership. He is in charge of technology deployment, as well as creating sustainable management protocols. Kreg also supports the school’s adoption of computer programming through the use of Scratch programming language, Bee-Bots, MakeyMakey, and the Raspberry Pi. Tracy Harkins is the Executive Director of KIDS Consortium, where she has created and delivered professional development programs and resources on service learning for over a decade. Prior to joining KIDS, Tracy was a service-learning practitioner at the elementary and middle levels for seven years. She holds a Bachelor’s degree in Education from the University of Southern Maine and a Master’s degree in Organizational Leadership from Southern New Hampshire University. After spending three years as a seventh-grade teacher, Sarah led the Hartford Public Schools’ Office of Operations 2012-2015 technology planning process. She is currently laying the groundwork for technology-rich classrooms via the Nellie Mae Education grant. She holds a B.A. in English from Binghamton University and an A.M. in Urban Education Policy from Brown University. A 1984 graduate from the University of Rhode Island with a BS in Electrical Engineering, Patty has over 21 years of telecommunication equipment design, architecture, and development experience. She has a Master’s in Education from Roger Williams University, and for the past seven years has worked as a math coach and fourth grade teacher at the Highlander Charter School. Additionally, she has created a K-8 math curriculum and worked with administration to create a competency-based math model. Amanda Kilton is the art teacher at the Kennedy Longfellow School. She fosters a life long love of art through hands on experiences and academic discourse. During the summers, she is a Camp Director for the New London County 4-H Camp in Connecticut bringing arts and experiential learning together. For the past 17 years, Dr. Rachel J. Kramer has maintained a private practice in Pediatric Psychology in Concord, Massachusetts. She offers a variety of services for preschoolers, children, adolescents, and their families, including psychotherapy, consultation, parent coaching, training, and education. Rachel enjoys consulting with families and coaching parents regarding how to best support children’s growth and development. She also teaches parenting seminars at local schools. Rachel is the mother of three teenagers. Anne Larkin, Professor Emerita, and Co-Leader Kennedy-Longfellow/Lesley University Partnership, has extensive experience in literacy, special education, and school and community partnerships. She coordinated the Cambridge chapter of Say Yes for 18 years, which worked closely with youth in the Cambridge Public Schools from early elementary into successful post secondary academic experiences. Bailey Malone is currently a fourth grade teacher at the Ivan G. Smith School in Danvers, MA. Bailey received a Master’s Degree in Language and Linguistics from Boston University in 2013 and holds a Bachelor’s Degree in Elementary Education from Endicott College in Beverly, MA. During this school year Bailey worked closely with school social worker Michele Gross, incorporating mindfulness lessons in her classroom to provide guided practice in preparing her students to learn. Kathy Malone is the Instructional Technology Specialist at the Kennedy-Longfellow School. She supports the school’s 1:1 initiative, a new makerspace, and integrating technology in the curriculum. She is the KeyPal Coordinator for her students and volunteers from IBM, Draper, and MIT. She is also the recipient of the Kenneth S. Neal Award and the United Way Teachers Rock Award. 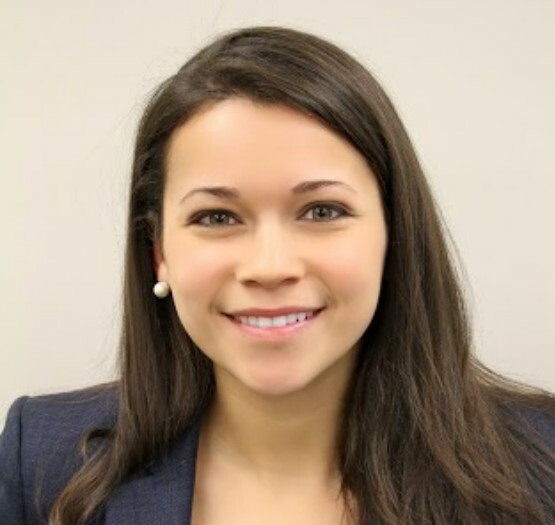 Jessica Minahan is a behavior analyst, special educator, and school consultant to clients across the nation. 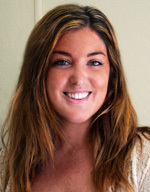 Jessica has over 16 years of experience supporting students who exhibit challenging behavior in public school systems. 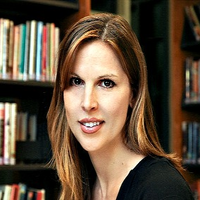 She is a blogger for The Huffington Post, co-author of The Behavior Code: A Practical Guide to Understanding and Teaching the Most Challenging Students, and author of The Behavior Code Companion: Strategies, Tools, and Interventions for Supporting Students with Anxiety-Related or Oppositional Behaviors. Former teacher and principal Scott Morrison currently serves as the Director of Curriculum and Technology for the Manchester Essex Regional School District. Scott has been studying organizational leadership and school culture as a doctoral candidate in the College of Professional Studies at Northeastern University. He believes that school climate is rapidly changing, but we can work together to reverse the effects and create modern educational environments conducive to learning. Kate Murphy has been teaching kindergarten for five years at the Kennedy-Longfellow School. Her classroom is filled with laughter, learning, and curiosity as her students make friends, build self-confidence, and celebrate new successes. Kate was also the recipient of a science fellowship, supporting her effort to bring new inquiry-based learning opportunities to the school. With over 20 years in public education as a teacher, building administrator and district administrator, Michelle currently serves as a team leader for several partnerships and major grant initiatives focused on student-centered learning. She holds a B.S. from Eastern Connecticut State University, an M.S. in Education from University of New Haven, and is currently a doctoral student in Northeastern University’s Doctor of Law & Policy program. For more than 20 years, Dr. Anthony Rao worked in the Department of Psychiatry at Children’s Hospital Boston and served as an instructor at Harvard Medical School. 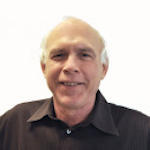 Anthony is the founder of Behavioral Solutions, a therapy practice in Lexington, Massachusetts. He has been a featured expert in documentaries, news segments, and national publications. His editorial letters and opinions have appeared in Newsweek, The New York Times, Scientific American, and New York Magazine. Meg Robbins, Lead Coach and Consultant at OzmaHouse EC, has a core interest in supporting districts and schools in creating collaborative professional learning communities. Using what she has learned from many years as a middle and high school humanities teacher, District Union Vice President, and more recently as a contributor to Teachers21, the Center for Collaborative Education in Boston and the Education Development Center, she focuses on engaging, respectful teaching and authentic learning. 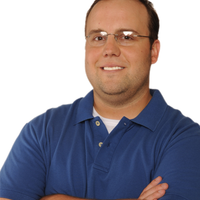 Greg Schwanbeck currently teaches at Westwood High School, where he also serves as an instructional technology coach. Greg’s teaching methods have been featured nationally in publications such as The Huffington Post and EdSurge. He is an Apple Distinguished Educator and a guest lecturer at the Massachusetts Institute of Technology. Greg earned a Master’s Degree in Technology, Innovation, and Education at Harvard University and earned a Bachelor’s Degree in Physics and Mathematics at Union College. Beginning as a Peace Corps volunteer teacher in Zaire, followed by years teaching high school students in Israel and California, David is now a professor in Eastern Connecticut State University’s Education Department, where he coordinates Eastern’s online graduate program in Educational Technology. He has earned a Ph.D. in Comparative and International Education from UCLA, an M.S. in Educational Technology from Concordia University, and a B.S. from SUNY Brockport. Deidre has worked in the nonprofit sector for over 20 years, first serving as the Associate Executive Director at The Bushnell Center for the Performing Arts and continuing to open her own management consulting firm. Deidre holds a B.A. in Psychology from St. Michael’s College and an M.A. in Communications from the University of Hartford. She currently assists Hartford Public Schools in strategic, operational and fiscal planning, program development and board governance. Alex Tsonas joined Seaport Academy as school counselor in 1998 and two years later became Seaport Academy’s director. Alex’s experience includes working as an assistant director in a residential program, a therapist for a home-based individual and family treatment agency, and as a counselor running substance abuse and anger management groups in Lynn, MA. Alex has overseen Seaport’s evolution from a small, 12-student program into a successful, experiential-based, all-boys, state-approved alternative high-school for 28 students from Grades 8–12. In addition to serving as Director, Alex also teaches wood shop, health and electives, and leads activities, field trips, and one of the counseling groups. A Seaport Academy teacher since 2000, Perri Wexler believes passionately in the power of experiential education to transform learning. She oversees academic programming and curriculum design at Seaport Academy and teaches a variety of electives—including the very popular creative writing and culinary arts electives. A writer and a farmer, Perri is currently working on her second novel. She lives on and manages a farm in western MA when she’s not at Seaport. 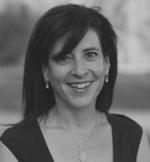 Denise Wolk is a Senior Program Associate with Engaging Schools, where she oversees the production of publications and marketing strategies and provides professional development services on school reform, classroom management, school climate, and advisory development. Prior to joining Engaging Schools, Wolk served as a program associate with The Education Alliance at Brown University. Wolk also worked as a research assistant in the National High School Alliance’s project to track school reform efforts in 2000.